Welcome to the Knights Inn of Orlando, Florida. Easily accessible from I-4 and Highway 441 on Orange Blossom Trail. 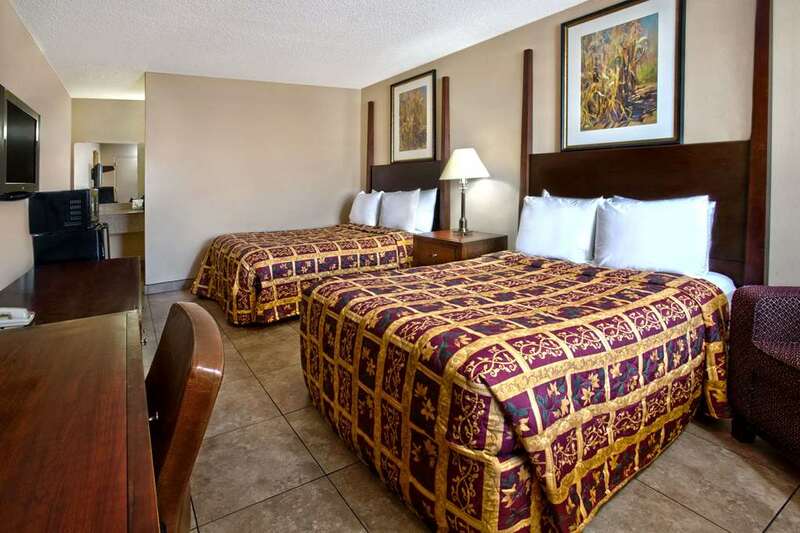 Convenient to all local Orlando attractions. Disney World, Sea World and Universal Studios are just a short drive away. Orlando International Airport is just 9 miles away. Orlando Arena, Home of the NBA's Orlando Magic is just 18 miles. Free coffee and tea is served each morning. Free High Speed Wireless Internet Access is in all rooms. Free Cable TV with HBO. Refrigerators, Microwaves and Flat Screen TVs available in all rooms. Free on site parking. Coin operated guest laundry facilities are on site. Kids under 17 Stay Free. Sorry, no pets or trucks allowed. It was made to look like a mansion uprooted by a tornado and dumped upside-down in the middle of the block.